Paternal leave on full pay 'no brainer' Jump to media player A father explains why he did not regret taking up the offer of six months paid paternity leave after the birth of his son. 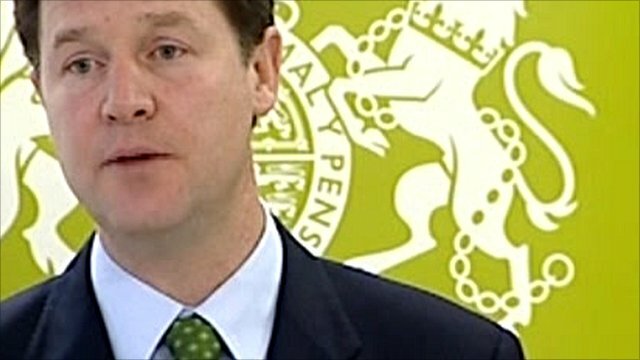 'Edwardian' paternity leave to change Jump to media player Deputy Prime Minister Nick Clegg has outlined plans to press ahead with changes in April to allow couples to share maternity leave. Miliband: 'More time off for dads' Jump to media player Labour would double the amount of paid paternity leave for new fathers to four weeks and increase paternity pay to £260 a week, Ed Miliband says. Miliband pledges longer paternity Jump to media player Ed Miliband says a Labour government will double the amount of paid paternity leave, from two weeks to four weeks, if they win the general election in May. Japan MP takes paternity leave Jump to media player A member of parliament in Japan is taking paternity leave for the first time in the country's history. Fathers 'miss out' on paternity leave Jump to media player Fewer than 1% of fathers take advantage of additional paternity leave up to a total of 26 weeks, figures from the TUC suggest. While only one-in-50 couples use the government's shared parental leave deal, an asset management company has matched maternity and paternity leave rights for its 16,000 staff.